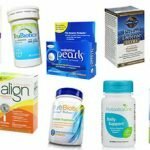 Detailed review of Earth's Pearl Probiotics. See how this probiotic supplement compares against all the others! Overall, at 3.5 out of 5 stars, Earth’s Pearl Probiotics is an above average daily probiotic. I’m really impressed with this probiotic and it has a lot of great qualities. For one, the pearl tablets are fantastic and very little. You just have to take 1 daily (nice and easy) at any time. It does say that you can take up to 3 pearls daily for advanced immune health. A word of caution, I tried swallowing 3 tablets at once and 1 got stuck and the others scratched my throat pretty bad on the way down. 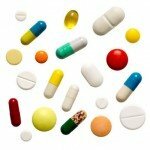 Tablets aren’t coated like capsules are, so just swallow one at a time and you should be fine! The bottle also doesn’t need refrigeration. Just make sure you store it in a cool, dry place. This probiotic is also very allergy friendly, which is a big perk! I also think that 4 billion cells and 5 probiotic strains, plus FOS, is a great amount for a daily probiotic. This probiotic is also very affordable because a bottle of 60 tablets, lasting 2 months, costs only $22.32. One of the only things I would’ve liked to see more of were results. I did see some improvement with my IBS symptoms but I really would’ve liked some more relief with the gas, bloating, and constipation. I also didn’t see any difference in relief when I took 1 pearl daily or 3. Overall, at 3.5 out of 5 stars, Earth’s Pearl Probiotics is above average because it’s allergy friendly, easy to use, affordable, and convenient but I would’ve liked to see some more improvement while taking it. 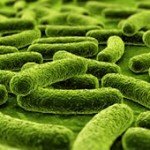 Earth’s Pearl Probiotics contain 4 billion cells in 5 probiotic strains. Of note, I really like the inclusion of Lactobacillus acidophilus. This is the strain I’m sure you’re all sick of me talking about but it’s one of my favorites. It’s also a favorite among research and has been studied quite extensively. It’s been shown to potentially relieve the symptoms from Irritable Bowel Syndrome (IBS), Crohn’s disease, and gut dysbiosis. Lactobacillus acidophilus may also help boost immune function, treat yeast infections, and decrease the frequency of urinary tract infections (UTIs). Another strain that I like is Lactobacillus plantarum. This strain may also help treat the symptoms that come along with Irritable Bowel Syndrome (IBS) and Crohn’s disease. It may also help aid digestion and balance out the bacteria levels within the body. Earth’s Pearl Probiotics is super allergy friendly. The only potential allergen it has is trace amounts of milk protein. So if you’re extremely allergic to milk protein, maybe steer clear of this one. However, it seems to hit all the marks in every other area. The pearls contain NO: gluten, lactose, wheat, soy, eggs, shellfish, tree nuts, artificial ingredients or chemicals. The other ingredients include: microcrystalline cellulose, hydroxypropyl methylcellulose, pectin, stearic acid, sodium carbonate, guar gum, and turmeric (for color). For 60 pearl tablets, lasting 2 months, it costs $22.32. When you break it down, it works out to $0.37 a day to take these. That’s incredibly affordable in my opinion, especially for this solid of a product. I definitely think this is a good value for the price. I was very happy because I didn’t see any bad side effects while taking this probiotic. Normally I can expect to see some bloating or belly pain. However, this product is definitely gentler and less potent than some of the crazy probiotics out there these days. So with this being a gentler product, it left me a happy camper without any icky side effects. Earth’s Pearl Probiotic has one of the best guarantees I’ve ever seen! You have an entire year, 365 days, to try the product and if you aren’t completely satisfied then you can get all your money back. I’m astonished by this guarantee and so appreciative. 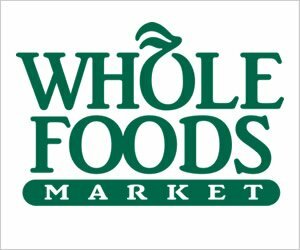 I love when companies can stand behind their products. 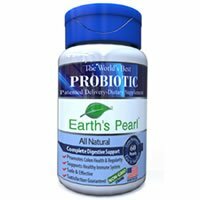 To buy Earth’s Pearl Probiotics, click here.